To celebrate World Down Syndrome Day 2018, My Family Our Needs brings you details of what’s happening to help you celebrate and raise awareness. World Down Syndrome Day takes place on 21st March every year. 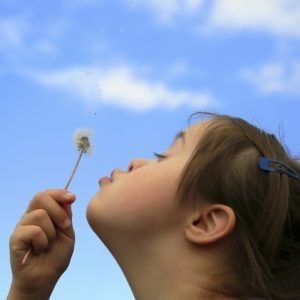 It also coincides with World Down Syndrome Week, which this year runs from 19th to 25th March. There’s so much happening to get involved with. Explain how people with Down’s syndrome can and do make meaningful contributions throughout their lives, whether in schools, workplaces, living in the community, public and political life, culture, media, recreation, leisure and sport. Explain how negative attitudes and a lack of knowledge about their potential as individuals prevent people with Down’s syndrome from having opportunities to make contributions. Empower people with Down’s syndrome (and those supporting them) to advocate for their rights and opportunities to make meaningful contributions. Reach out to key stakeholders including educators, employers, public authorities, media and the wider community to ensure they see the benefits of enabling people with Down’s syndrome to make meaningful contributions and encourage these stakeholders to bring about change and disseminate this message. Take a picture of your inclusive community. Perhaps you could ask them to all wear #LotsOfSocks. Write down how you/your child feels about being part of an inclusive community. Hold the paper in your photograph. Film an interview with the members of your group. Ask them why they like being included and being inclusive. Films, photos and pictures can be shared on Twitter or Facebook with #InclusionMatters. Also, don’t forget to wear fun, colourful or just #LotsOfSocks and share them on social media. For those readers who would like to know more about Down’s syndrome, My Family, Our Needs turned its spotlight on the condition. The feature was produced with the guidance of the Down’s Syndrome Association. We also have a fantastic blog from our BAPS Awards 2017 winner, Sarah Roberts. Entitled We rise by lifting others, Sarah shares her story of family life with son Oscar. How are you celebrating World Down Syndrome Day 2018? Let us know in the comments below, tweet us @weareMFON, find us on Facebook or email hello@myfamilyourneeds.co.uk.